Sugar Bowl invested the first $3 million of an $8 million snowmaking upgrade this past summer, doubling its water pumping capacity while reducing both energy consumption and the time it takes to cover its snowmaking terrain by two-thirds. A lack of snow in the forecast hasn’t stopped the area’s ski resorts from getting ready for opening dates, as several have fired up snowmaking equipment in anticipation of projected openings later this month. 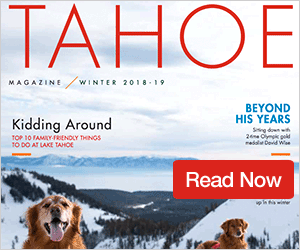 While many resorts across the Tahoe region are busy making snow, several mountains come into the 2018-19 season flexing the muscle of new and upgraded snowmaking capabilities. Perhaps one of the biggest additions to the area’s skiing this year comes from Sugar Bowl Resort. 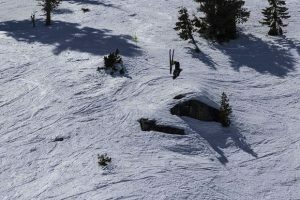 The new snowmaking enhancements will allow Sugar Bowl’s primary resort operations to move to the Judah Lodge base area this winter, Slaughter said. 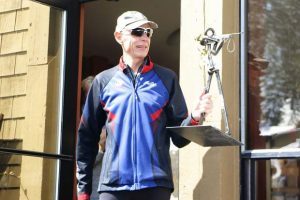 This shift also offers new opportunities that include dedicated parking for ski school families, new beginner ski and board programs, and more. Squaw Valley Alpine Meadows began making snow at both mountains on Oct. 16, according to Public Relations Director Liesl Hepburn. 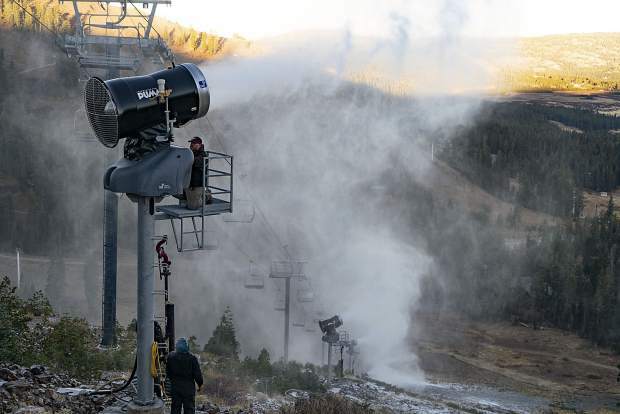 And, with the addition of three new fan guns to the roughly 300 snow guns the resort employs, Squaw and Alpine are on track to reach opening dates of Nov. 16, and Dec. 1, respectively. At Alpine Meadows, Hepburn said snow is being made on Kangaroo; while at Squaw Valley snow is being blown on Gold Coast, Red Dog, and Squaw Creek as anticipated opening dates draw near. This year Northstar California Resort has added 24 low-energy snow guns along Luggi’s and Lower Washoe trails. The resort is also upgrading 12 other snow guns with new efficiency heads, enabling the guns to produce snow at warmer temperatures. The mountain began pumping snow last Monday, followed by closing bike park operations for the year the following day. Opening day at Northstar is slated for Friday, Nov. 16. Boreal Mountain Resort began blowing snow on Oct. 17, according to Content Specialist Mike Dawson, and while the resort hasn’t set a firm opening date, the mountain is typically able to open within the first two weeks of November. The mountain currently has 20 guns running when conditions allow, blowing snow on South 40 and Big Blue Park. The resort’s sister mountain, Soda Springs, has yet to turn on snowmaking equipment. Mount Rose Ski Tahoe had its earliest opening in mountain history, according to the resort, when it began spinning Wizard chairlift on Oct. 19. The resort invested $2 million last summer, including the installation of 17 new snowmaking towers. The resort will be open to the public this weekend, with tickets costing $20.